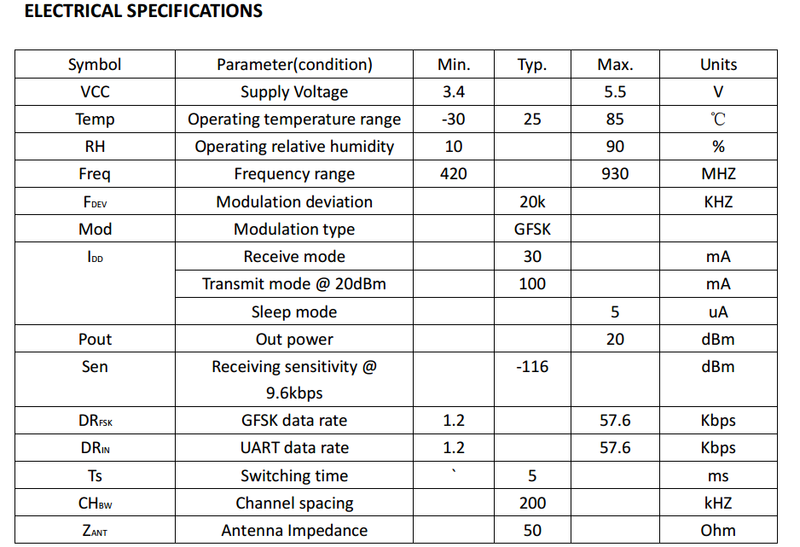 WT-100T is a low-cost sub-1 GHz transceiver module designed for operations in the unlicensed ISM (Industrial Scientific Medical) and LPRD bands. GFSK (Frequency Shift Keying) odulation/demodulation, multi-channel operation, high bandwidth efficiency and anti-blocking performance make WT-100T modules easy to realize the robust and reliable wireless link. WT-100T integrates 256 bytes buffer. When the buffer is empty, users can transfer 256 bytes data per time and even limitless data transfer can be achieved as long as RF data rate (RF module to RF module) is configured to be faster than UART data rate (MCU to RF module). 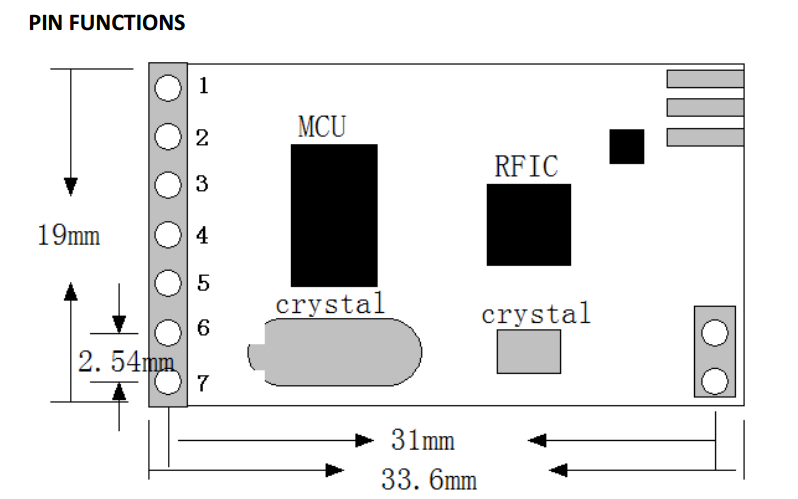 The module provides standard UART/TTL interface for selection. Users can choose seven data rates and three parity checks which make WT-100T possibly tailor-made for different applications. WT-100T operates at 3.4~5.5V with extra low standby current which makes it suitable for battery powered-up applications. Can anyone estimate the range of transmission outside on flat terrain? Thank you. Hi there~ We've emailed the R &amp; D team and will give you a feedback once they reply us. Regards.